A gold battlepack in Battlefield 4 - full of the game's best gear - is a rare and wonderful thing. But not as rare and wonderful as a gold-covered version of it worth $2500. 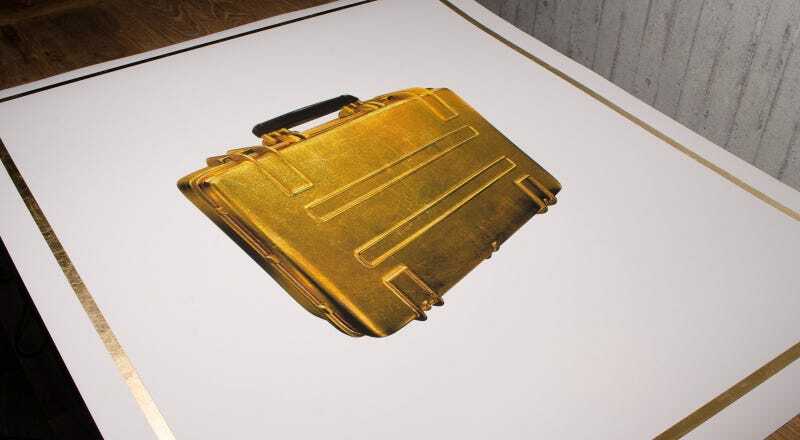 Art dealers Cook & Becker are selling some expensive prints of some of the game's concept art, but alongside those images they're also selling ten copies of a "high-res render" of the battlepack that's been "hand-embellished and gilded" in 24-carat gold. I don't know if i can even imagine the point where Battlefield fans and museum-grade art collectors intersect, but it must be a strange and wonderful place.